Scientists working on the Event Horizon Telescope have taken the very first pictures of a black hole – commonly known as M87* (the * in the title represents a black hole). M87* is a super-massive black hole at the centre of the M87 galaxy. 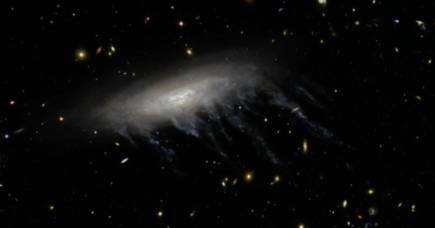 This galaxy is also known as Virgo A and is part of the constellation Virgo. Here are four things we’ve learned about this black hole. Black holes are defined by the fact they can trap light. 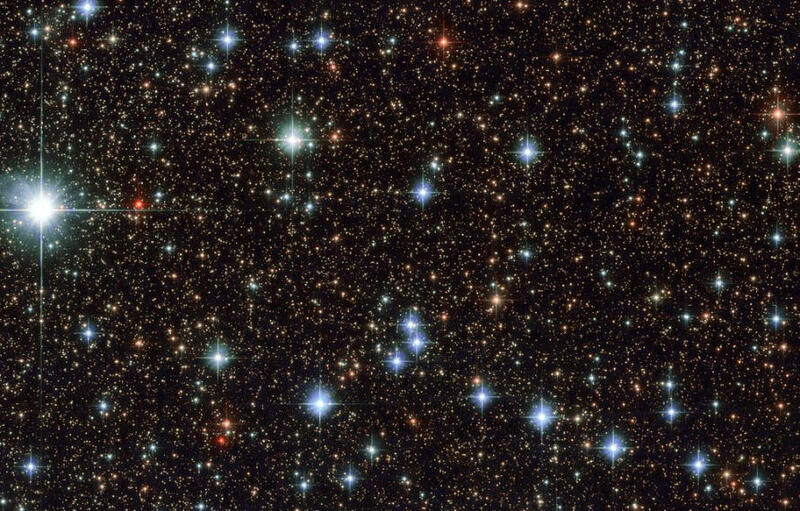 So how does one see an object that traps light in the vast, black expanses of space? OK, that’s still really hard. 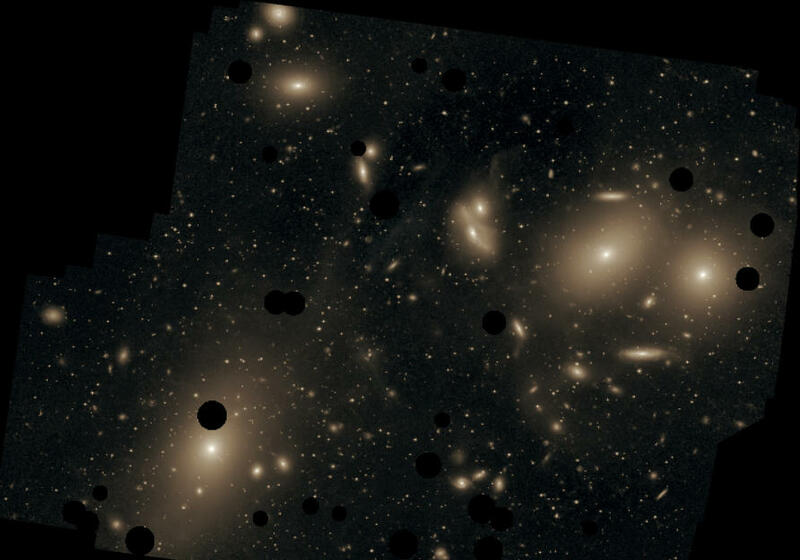 But the biggest black holes are believed to lurk at the centres of galaxies, which aren’t quite so empty. There is quite a bit of stuff around to fall under the sway of the black hole’s powerful gravitational pull. We have found evidence for both stars and clouds of hot plasma orbiting these super-massive black holes. The closer the plasma is to the black hole, the faster it will be orbiting the black hole (just as Mercury orbits the Sun in 88 days, but Neptune takes 165 years). It looks like the plasma in the image is moving at a significant fraction of the speed of light. So, we have electrons in this plasma that are being spun very quickly in a circle around the black hole. This is a super-sized version of the Australian Synchrotron, using a black hole’s gravity instead of magnets to keep the electrons circling around at relativistic speeds. Just like the Australian Synchrotron, these electrons emit light (synchrotron radiation) which then traveled from M87* to Earth to make this beautiful image. However, some of that light is intercepted by the black hole in the middle. The black hole leaves a shadow against what would otherwise be a bright disk. One prediction of general relativity is that the size of a black hole is linearly proportional to its mass. If the mass of a black hole doubles, the diameter of the event horizon (the region where light cannot escape) doubles as well. The LIGO gravitational wave detections confirmed the size of black holes with masses of tens of solar masses. The Event Horizon Telescope image has now measured the size of a black hole more than six billion solar masses. That’s a mass range of 100,000,000 (or a hundred million). The general relativity relationship between mass and size has held true across this entire range, limiting some alternative theories for gravity. 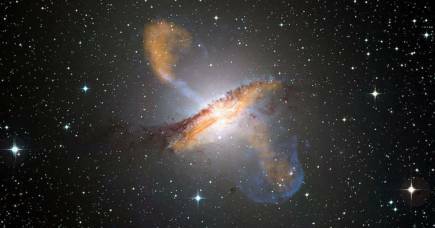 3) How massive IS the SUPERMASSIVE black hole? We already had an idea of how massive M87* was by measuring the velocities of gas and stars near the centre of the galaxy. However, the estimates disagreed by about a factor of two. The dynamics of the gas suggested masses near 3.5 billion solar masses while stellar measurements preferred a higher mass near 6.6 billion solar masses. The size of the black hole’s shadow in the new image comes down solidly in favour of the higher mass estimate. M87* weighs 6.5 billion solar masses, plus or minus 10 per cent. This extreme mass is also why our first black hole image is of M87*. The more massive a black hole is, the larger and easier they are to see. We expected the two largest (in terms of apparent size) black holes to be M87* and the Milky Way’s own black hole, Sagittarius A*. Sagittarius A* is clearly much, much closer to us (a mere 26,000 light-years instead of 53 million light-years), but it’s also much, much smaller at four million instead of six billion solar masses. The net result is that M87* has nearly the same apparent size as Sagittarius A*. We already had a number of reasons to think that most galaxies host a giant black hole near their centre. However, as the saying goes, seeing is believing. 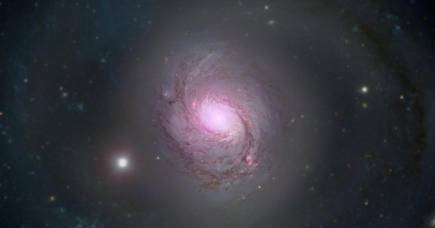 Imaging the black hole at the centre of the M87 galaxy confirms the presence of supermassive black holes at the centres of galaxies. But how did we manage to image a black hole 53 million light years away? The Event Horizon Telescope built up an image of the black hole by using a technique called interferometry to combine data from eight different telescopes across the globe, including, my personal favourite, the South Pole Telescope in Antarctica. The image analysis even took advantage of the Earth’s rotation between observations (effectively moving the relative positions of the telescopes and the black hole). Combined, these instruments provided an effective telescope nearly the size of the Earth – that is, a diameter of almost 13 million metres. And it will probably be a while before we build a mirror that big.